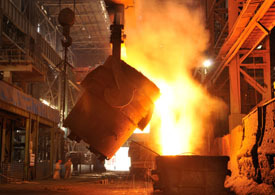 ACEEE and the Alliance for Materials Manufacturing Excellence (AMMEX) remain impressed with the President’s focus on the importance of manufacturing to the American economy. So when the Administration released its budget request for fiscal year 2013 last month, we were pleased to see, for the second year in row, a substantial increase in the requested funding for the Department of Energy’s Advanced Manufacturing Office (AMO; formerly the Industrial Technologies Program). Transparency of funding allocations within the AMO program’s FY2013 budget. AMMEX also suggested a way to apportion the 2013 budget request to align AMO with both the President’s focus on manufacturing and recent Congressional support of individual program offerings. ACEEE has added a recommended apportionment in the event that the AMO budget is closer to the 2012 level. 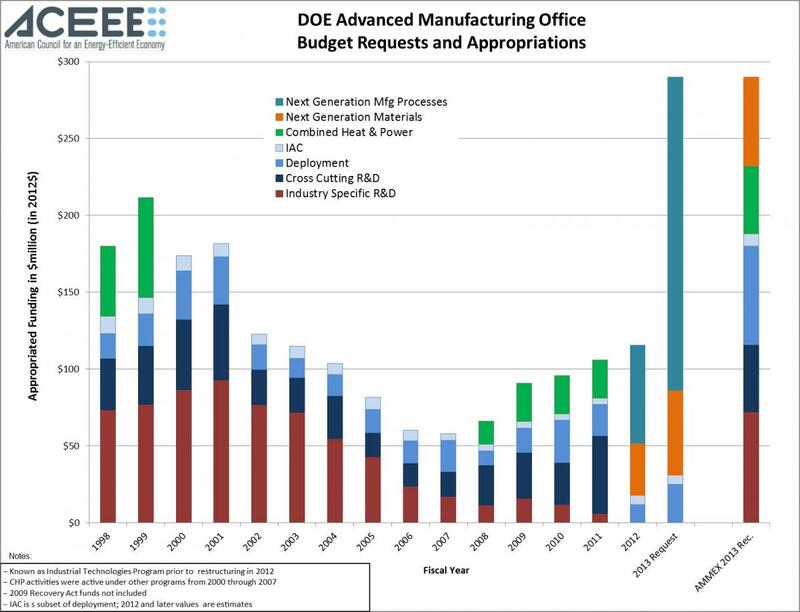 Even though support for U.S. manufacturing and energy efficiency is seen as a bipartisan issue, the tight budget environment may make a significant funding increase difficult. 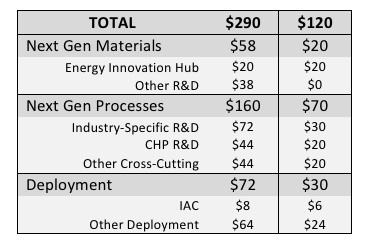 The final column in the above table would align AMO resources with the needs of the manufacturing community. Separately, several CHP supporters, including ACEEE, are preparing a letter to appropriators to encourage them to designate funding for the DOE’s CHP activities within AMO. CHP has been funded at the $25 million level for several years and this letter will encourage continued funding for CHP development and deployment activities in the 2013 AMO budget.